This Shop In Alwarpet Is Selling Books By The Kilo & Vintage Cameras For As Low As INR 250! The Book Shop on TTK Road is having a huge clearance sale for the next two months. They are selling one kg of books for INR 250 and vintage cameras starting from INR 500. This shop, filled with books, antiques, mugs, paintings, and stationery is a treat to the eyes. 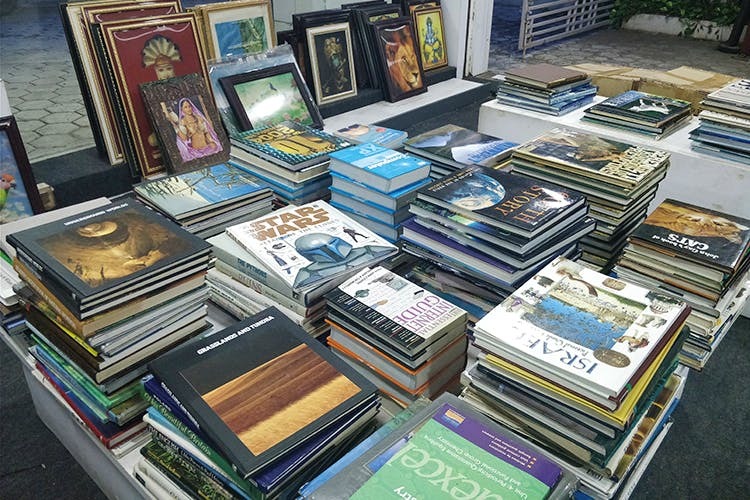 You can buy academic books, fiction, biographies, and more for INR 250 per kg. The collections include popular authors and books like Famous Five, Nancy Drew, and Sherlock Holmes. The piles of books in this store are every bibliophile's dream. So, grab 15 of those Enid Blyton books and relive your childhood. And wait, there's more. If you're an avid photographer, check this out. For just INR 500, you could be the owner of an old Cannon or Nikon camera model that nobody can find anywhere else. The store also has really cute ceramic mugs and old-school wooden photo frames starting INR 100.